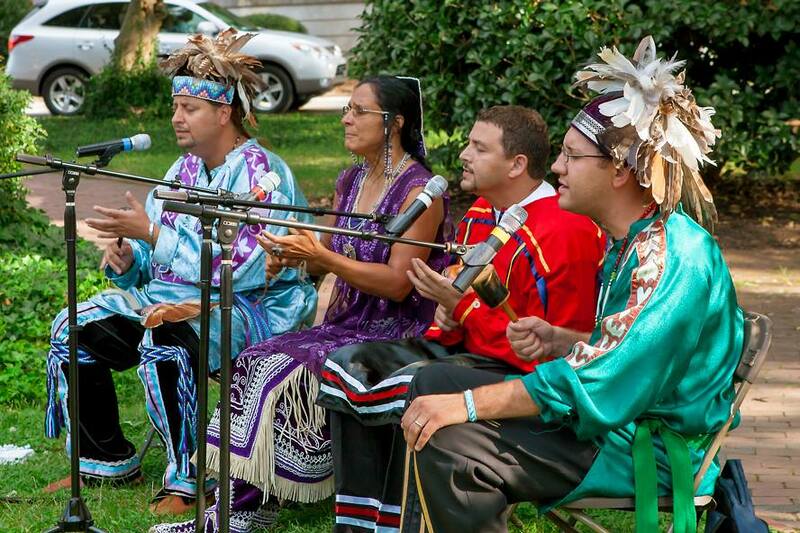 At the beginning of each year, The UNC American Indian Center hosts its Welcome Extravaganza for the Carolina American Indian Community & Friends on the side lawn of Abernethy Hall at South Columbia Street and Cameron Avenue (Directions). The public, including American Indians from the surrounding area, is invited. The event typically features live performances by a Next Generation Artist with the Music Maker Relief Foundation. At the event, American Indian student groups provide information about their activities such as the Carolina Indian Circle, First Nations Graduate Circle, Native American Law Students Association, Alpha Chapter of Alpha Pi Omega Sorority Inc., Gamma Chapter of Phi Sigma Nu Native American Fraternity Inc. and the American Indian Science & Engineering Society. Also, representatives from various campus departments including the American Indian and Indigenous Studies, the Center for Student Success and Academic Counseling, Diversity and Multicultural Affairs and The Graduate School will also be available. The event is part of a Week of Welcome at Carolina to start the fall semester.